As the Chief Legal and Compliance Officer of the General Counsel for GE Water & Process Technologies, Glynn Key holds responsibility for managing the corporation’s legal department and overseeing legal aspects of the corporation’s global water treatment and process systems operations in 130 countries. Leveraging nearly 24 years in the field, Glynn Key has received a number of impressive appointments. Ms. Key began her career as an associate attorney at the law firm Covington & Burling. This was followed by a three-year appointment to the US Department of the Interior, where as Associate Solicitor and Counselor to Secretary Bruce Babbitt, she spearheaded negotiations that led to the success of the $700 million Everglades Restoration project. Subsequently, Glynn Key served as a corporate partner at the Washington, DC, offices of Wilmer Cutler Pickering Hale and Dorr LLP (WilmerHale). Throughout her substantial career, she has been recognized for her expertise in corporate governance. She has written several prominent legal articles, including “Private Company Corporate Governance,” a widely cited work.Having earned her Bachelor’s degree in 1986 and her Juris Doctor in 1989, both from the University of Virginia, Glynn Key returned to the institution in 2003, during her tenure at WilmerHale, as a member of the Board of Directors of the Miller Center for Public Affairs, a position she continues to hold. 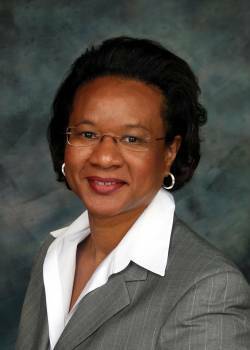 In 2004, Glynn Key also began serving as Chair of the Educational Policy Committee on the University of Virginia’s Board of Visitors, a position she held for eight years. In this role, she was instrumental in promoting student and faculty diversity, restructuring the university's technology transfer program, and enhancing the undergraduate student experience.